According to show logs, Rakim appeared on the classic television program Soul Train on three separate occasions, twice with Eric B. and once with Truth Hurts to perform their single "Addictive." Although footage of the latter recording is yet to surface online, we do have tapings of the first two. 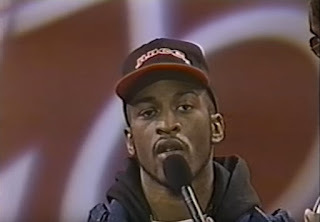 The first, episode 11 of season 17, aired November 28, 1987 and was therefore one of Rakim's first TV appearances, if not his actual TV debut. This appearance is also notable for the way host Don Cornelius makes direct reference to Ra's stoicism, which is now known as one of his defining traits. 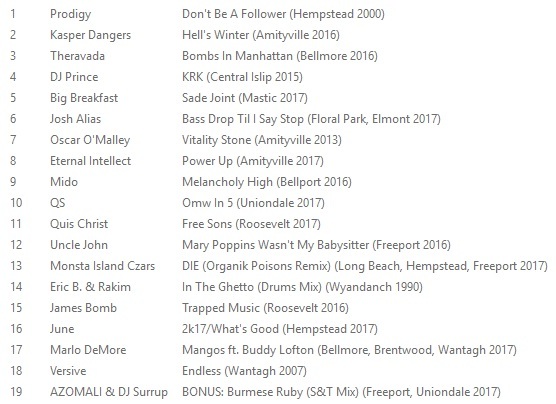 Cornelius goes on to say "...the way that Rakim raps, he has kind of a low pitch that's unusual for me." Though Eric B. was billed back then as the star of the show, it was already clear that Rakim (or Rakeem as Cornelius repeatedly called him) was truly one of a kind. Eric B. 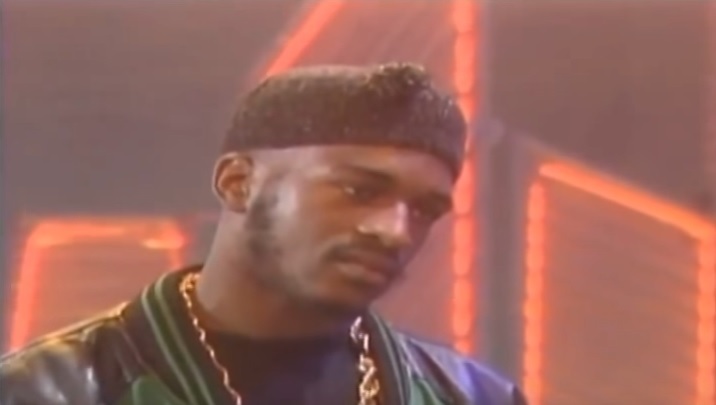 & Rakim made their second Soul Train appearance on episode 24 of season 21, which aired March 21, 1992. By this time, Rakim had clearly established himself as the duo's frontman. Unfortunately, embedding has been disabled for the video of this segment, so click here to see Eric B & Rakim perform "Juice (Know the Ledge)" on Soul Train. A second video from this taping features a performance of "What's On Your Mind." This is embedded below, albeit in lower quality than either of the other two videos.